The sun is out! The sky is blue! 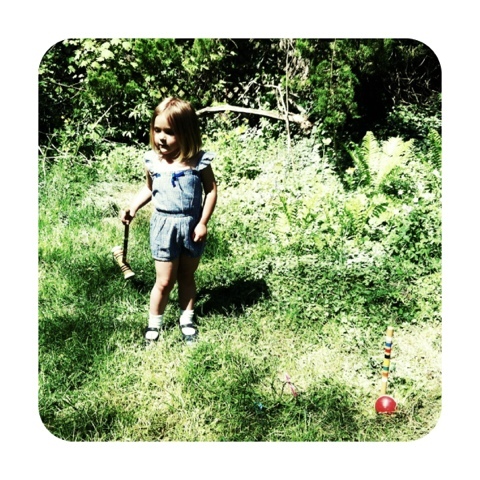 We're getting ready to have some friends over and I thought that it would be a good day to introduce Rowan to croquet. It's a pretty easy game. It involves colorful balls and decorated mallets. And she already been introduced to it in pop culture by Alice in Wonderland. It's also a game that can be enjoyed by people of all ages, so it's perfect to set up today as we wait for our friends to come over. 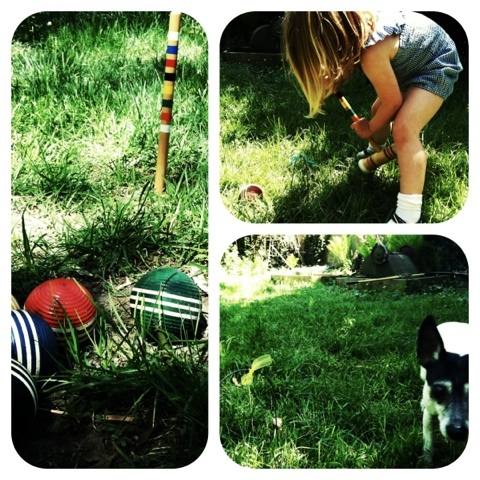 Although croquet is not necessarily the most active game, it does help teach coordination, good sportsmanship, sharing & taking turns, and how to use equipment, which are all very valuable. Rowan is having a lot of fun practicing before our friends get here. She can't wait for the games to begin. Now off to brew some good, strong tea and make some cucumber sandwiches before our friends arrive! This past week, I was talking to a parent of a very creative and energetic kiddo who takes a fitness class with me, and we started talking about the adventurous and funny movie Up. She sent me this picture of her son's homemade Up house with balloons and a tissue box and I thought this was way to cute not share with all of you. So, I started wondering, how many helium balloons would it take to lift an adult or child, because this would be a really sweet way to fly. 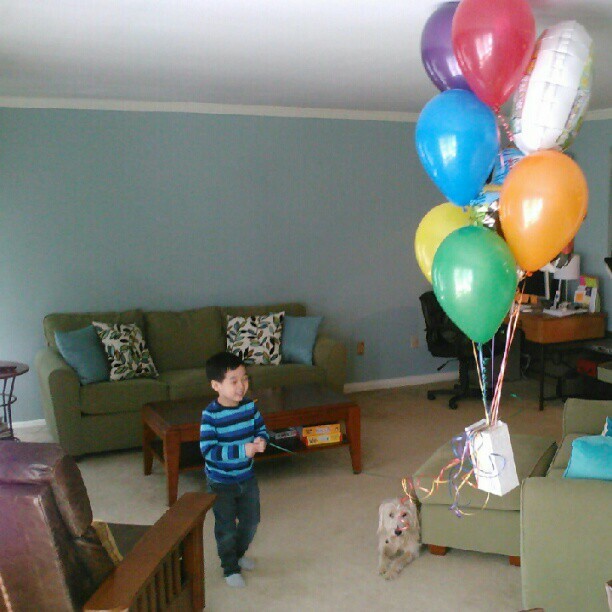 After some research and careful calculations, I've determined for a 40lb child it would take about 142 balloons. Now that would be a fun way to get to school!